These Pawns shall help you clear the board. Parties in Dragon’s Dogma: Dark Arisen consist of members of the Pawn Legion along with your created Arisen. Early on in the game, you will be tasked with creating one that will accompany you through the entire game, but you can have a party of up to four. That’s when hiring comes in. Hiring a Pawn is free as long as they are either an equal or lower level than your Arisen. But, if they are of a hire level, you will have to pay Rift Crystals. Crystal cost is determined by the experience gap between you and the Pawn in question. 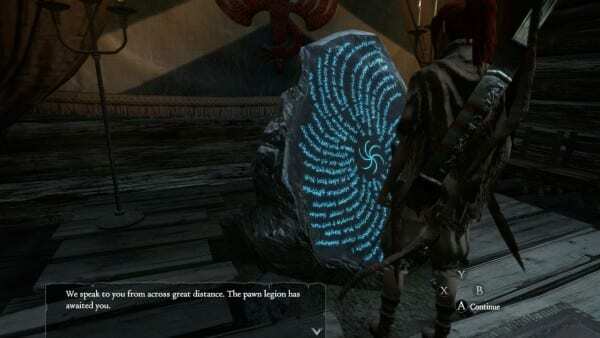 Rift Crystals are earned through simply playing Dragon’s Dogma: Dark Arisen. You will often get them as rewards for completing tasks and quests. You will also start off with enough to hire one or two decent Pawns to help get you through some of the difficulty in the beginning. Each Pawn will have a Vocation just like your Arisen and main Pawn. 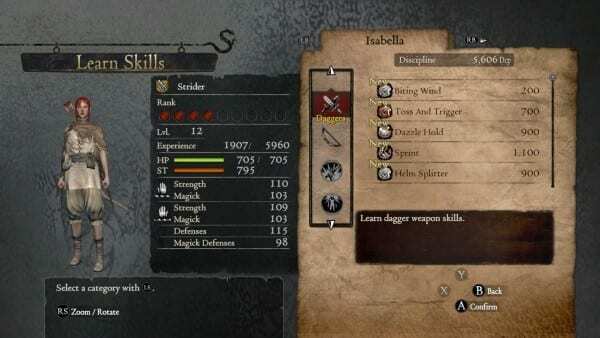 Make sure to not only check what the Pawn’s Vocation is, but also the skills equipped. You can level them up but you will be unable to change their skills, so pick Pawns with something useful as well as in sync with your play style.